THE inaugural Sunday Independent 50 most powerful and influential business women in Ireland list provides a snapshot of the game-changing executives at the helm of some of the country's most innovative, fast-moving and profitable companies. While recruiter Anne Heraty was, for more than a decade, the only woman chief executive of a stock market company, she has been joined by Siobhan Talbot, who now runs Ireland's biggest food company Glanbia. The numbers of women at the top tiers of business are still at medieval levels. Ireland lags the rest of Europe when it comes to women in business, with a mere 30 per cent of directorships held by women. Those on our list dominate sectors ranging from technology and retail to pharma and banking. There are, however, significant gaps, in heavy industry, construction and manufacturing. Women are more likely to be at the top of multinational companies than indigenous Irish enterprises. The inaugural Sunday Independent Most Powerful women in Business list should be much, much longer. Things are changing in boardrooms . . . but not fast enough. 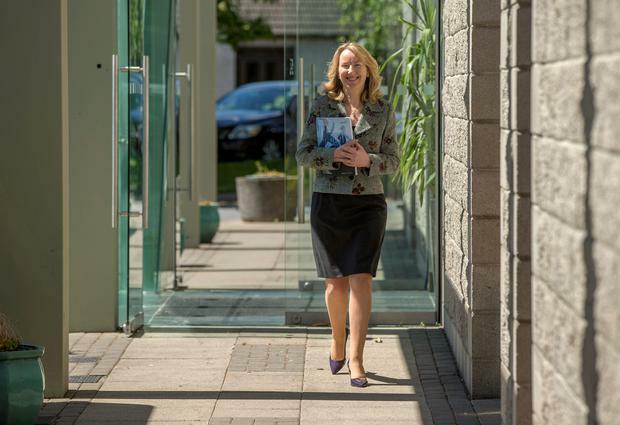 Ireland's most powerful and influential business woman runs the country's biggest food group, Glanbia. Rising up through a number of senior positions, in 2013 Talbot was appointed group managing director of the €3.2bn company, which employs more than 5,000 people in 29 countries. Formally Glanbia's group finance director, the Kilkenny native graduated with a BComm from UCD in 1984 and received a postgraduate diploma in professional accounting a year later. She previously worked with PwC in Dublin and Sydney before moving to Waterford Foods. Talbot, known for her positivity and work ethic, worked through the chemotherapy that helped her beat cancer four years ago and is only the second woman to head a listed company in Ireland. Recently dubbed 'Ireland's most trusted leader', PayPal EMEA boss Louise Phelan hits the gym every morning at 6.30 while others are hitting the snooze button. One of the most vocal female CEOs in Irish business, Phelan is one of 17 children from a farming family in Laois. The head of the online payment giant took to the stage in style in 2012 by announcing 1,000 new jobs for the company's Irish operation. Phelan was headhunted into the company in 2006 before rising through the ranks. She now sits on the board of Ryanair and is a member of the Dublin Chamber of Commerce, CCMA Ireland, the Women's Executive Network (WXN) and the International Women's Forum. Phelan studied at DIT and built her career around compliance, fraud and risk management. Maeve Carton has held a number of roles since joining CRH, Ireland's biggest company, in 1988. She was appointed group controller in 2001, head of group finance in 2009 and finance firector in May 2010. Prior to joining CRH, she worked for a number of years as a chartered accountant in an international accountancy practice. Known to be cautious and not to say anything that she cannot stand over, she has been cited as a future CEO of the company with a revenue of more than €18bn. In 2012 Carton was named as one of Ireland's most powerful women by the Women's Executive Network. The formidable Margaret Heffernan is the daughter of the original 'Mr Dunnes Stores', Ben Dunne Sr, who made it his mission to deliver 'better value' to Irish customers. He founded privately owned and notoriously private Irish retailer Dunnes Stores in 1944. Heffernan started at the very bottom aged 14, sweeping the floors in the first store on Patrick Street in Cork. She helped to grow Dunnes Stores into one of the country's most successful retailers, with 155 stores across Ireland, the UK, and Spain. She has been at the forefront of Dunnes' clothing and textiles offerings as it takes on Penneys, Next and Marks & Spencer. Cathriona Hallahan left school and joined Microsoft in 1986 as an accounts clerk without any professional qualifications. Following encouragement to obtain accountancy qualifications, Hallahan has remained with the company for 28 years and was appointed managing director of Microsoft Ireland in February 2013. Having held a variety of roles in finance and operations, Hallahan directed supply chain management, logistics, customer care and IT and financial support for Europe, Middle East and Africa. She sits on the boards of VHI Healthcare and the Irish Dance Council, is a member of the International Women's Forum, the Institute of Directors, the Institute of Accounting Technicians and is an ACCA fellow. Julie Sinnamon became the first female CEO of Enterprise Ireland last August, replacing Frank Ryan, who stepped down to become the IDA's next chairman. Sinnamon, whose previous career also included a lengthy sojourn at the IDA, had already occupied a variety of positions at Enterprise Ireland before nabbing the top job in an inevitable musical chairs move that surprised but few. The Co Down native, who bears the type of sunny name usually bestowed upon a Disney character, holds a primary degree in business studies from the University of Ulster and an MBA in international business from Fordham University in New York. She also completed the Stanford Executive Programme in California in 2005. Breege O'Donoghue is one of the so-called gang of four who run clothes retailer Penneys/Primark. At nearly 70 years of age, O'Donoghue can still be heard using the iconic self-deprecating false-modesty phrase of the Irish noughties: "See this? Penneys, two euro!" In the past decade, the brand expanded into Spain, Portugal, Germany, the Netherlands, France and will soon take on the US. And to top it all off, O'Donoghue got the notoriously elusive French stamp of approval for speaking their native tongue fluently at the opening of Primark's second French store in Dijon this year. O'Donoghue has been a non-executive director of C&C since April 2004 and served as a director of An Post and Aer Rianta. She serves as member of the Labour Relations Commission and is a member of the foundation of the National University of Ireland, Maynooth. Last year Anne O'Leary became the first native Irish CEO in more than a decade to lead the mobile operator since it acquired Eircell and stepped into the Irish market. One of O'Leary's missions is to deliver payback on the €161m Vodafone paid for 4G spectrum last November, but she's not one to shy away from a challenge as demonstrated by her penchant for triathlons. The company recently announced 113 new jobs to support the expansion of its network in Ireland. Hailing from Cork, O'Leary studied at the Cork Institute of Technoloyg, the London Business School and the Institute of Directors. She was previously the MD at BT before joining Vodafone in 2008 as business and enterprise director. She is a board member of UCC and the Dublin Chamber of Commerce. As chairperson of Communicorp and board member of Independent News and Media (INM), Lucy Gaffney is the most powerful woman in Irish media. A graduate of the College of Marketing and Design and self-proclaimed UCD dropout, Gaffney has been involved with several major firms since 1985, including Esat Telecom Group and Digicel Group. The marketing whizz has held directorships in Special Olympics and Ulster Bank among others and was chairperson of National Action Plan against Racism in Ireland for three years. A notoriously private person, Cathy Kearney hit the headlines in 2011 for making Apple $22bn almost single-handedly with her business-savvy direction as the driving force. The vice-president of European operations for Apple has been credited with steering the company to meteoric success in Ireland, over-seeing thousands of employees. The former financial controller lives with her husband and three children in a farmhouse outside Youghal and was headhunted by Apple while working for a Cork-based accountancy firm. Although she has shunned the spotlight since joining the global giant, her success has made her one of the most powerful female executives in Europe. In 2013, Bríd Horan replaced John Shine as deputy chief executive at ESB. Horan was appointed executive director of ESB Business Service Centre and Electric Ireland in 2010. Previously she held a number of senior executive positions in the company including executive director at ESB Energy Solutions and executive director at ESB Customer Supply and Group Services. Prior to joining ESB in 1997 as group pensions manager, Horan headed up KPMG Pension & Actuarial Consulting. Horan is a non-executive director of FBD Holdings plc and was a commissioner of the National Pensions Reserve Fund from its establishment in 2001 to 2009. She was also a board member of IDA Ireland from 1996 to 2006. A BA in applied languages and an MA in German literature are a rather unusual and refreshing background for somebody at the top spheres of one of the world's most powerful tech firms. Facebook Ireland's MD Sonia Flynn's trajectory led her from a literary education in Belfast to a stellar business career. She cut her teeth in increasingly senior roles at Google before heading to Facebook Ireland, where she was awarded the top job nearly three years ago. In addition, she took on the role of 'mammy' last year after giving birth to her first child. An amateur DJ in her spare time, she has presented a show called 'Artbeat' on Ana Livia. One of the most prominent and wealthy women in Irish business, Anne Heraty co-founded recruitment agency CPL in 1989 and went on to become the first female CEO of an Irish company floated on the Irish Stock Exchange. She hails from Longford and holds a BA in maths and economics from UCD. Heraty, a former director of Anglo Irish Bank, stepped down from the boards of Forfas and Bord Na Mona after Anglo imploded. She gave evidence at the recent trial of the three former Anglo bosses Sean FitzPatrick, Willie McAteer and Pat Whelan and acted as external adviser to Enterprise Ireland on the recruitment of new CEO Julie Sinnamon. A discreet presence both in the media and online, Sharon Buckley has been group commercial director of Musgrave Group since 2008. She joined Musgrave in 1997 as a trading manager and has worked in various roles in the organisation, including category manager, head of trading operations and trading director. Last year, Buckley was listed as one of Ireland's most powerful women by the Women's Executive Network (WXN) and HSBC Ireland. Regina began working with Fujitsu in 2004 when they merged with her company DMR Consulting, leading to her appointment as CEO of Fujitsu Services in 2006. In 2009, all Fujitsu companies merged and Regina became CEO of Fujitsu Ireland. She has a team of 350 people and provides innovative ICT services to the Irish marketplace. Beginning her career with Amdahl, the mother of three has an MBA from Dublin City University but no undergraduate degree, instead undertaking an engineering certificate from WIT, a diploma in electronic engineering from CIT and two Finance and Business Organisation Certificates. She is the chair of ICT Ireland and a Fellow of the Institution of Engineers of Ireland. In February, Julie O'Neill was appointed senior vice-president of global operations and general manager in Ireland at Alexion Pharma. The Trinity College and UCD alumni began her career by opening four pharmacies in Dublin, and is now a leader in the Irish pharma industry. As former VP operations and general manager at Gilead Ireland, O'Neill established the California-based company's Irish subsidiary and a direct distribution hub for Gilead's EU-based subsidiaries and negotiated the acquisition of Nycomed in 2007. She also assumed the role of president at employers' group IBEC from 2011 to 2012. Her latest challenge is to lead Alexion's global supply-chain operation in Ireland and head up the group's global manufacturing and supply-chain operations. Margaret Heffernan's niece, Dunnes' heiress Sharon McMahon, left a career as a solicitor with leading Dublin practice Matheson Ormsby Prentice to join the family business. She now reportedly runs the clothing side of things at Dunnes Stores, where it's thought she could have inherited stakes of up to €100m from her mother, along with her three siblings. Less abrasive than her aunt Margaret, McMahon is tipped to be the next generation of leaders at Ireland's largest retailer alongside her cousin, Anne Heffernan. Serial board member Hynes' most recent appointment was to Ireland's latest superquango, Irish Water, where she is chairwoman. She also chairs former state energy company Bord Gais and Shannon Airport Authority. She's a director at Total Produce and investment firm One51 and a former member of the 'court' at Bank of Ireland. A lawyer by training, Hynes got her start in business at Tony Ryan's Guinness Peat Aviation group and worked there when it was at its peak and worth €3bn and the biggest operator in the world. When things nosedived, she was instrumental in its restructuring. Chalking up firsts is part of Ann Kelleher's curriculum. In 1993, the evenly-spoken Macroom native was the first-ever woman to receive a PhD from the National Microelectronics Research Centre (NMRC), which is now a part of the Tyndall National Institute at UCC. In 2011, Kelleher then became the first Irishwoman to be appointed VP (for technology and manufacturing) at Intel, one of only three Irish people to hold that title. She joined Intel in 1996. Director of ads policy operations EMEA at Google, Kathryn O'Donoghue works at the EMEA, which provides technical, sales and operations support to customers in more than 50 countries worldwide. The Trinity College alumni was chief information officer at GE Money SW Europe from 2006 to 2008 and chief information officer at GE Money Bank Switzerland 2003-2006. O'Donoghue also held the position of senior manager IT consulting Ernst & Young and Coopers & Lybrand. Previously global director of insights and improvements at Google, O'Donoghue was recognised as one of Ireland's most powerful women by the Women's Executive Network in 2013. Carolan Lennon became MD of Eircom Wholesale in 2013 joining Eircom's senior management team from her role as chief commercial officer across the consumer and small business segment. Before joining Eircom in 2010, Lennon held roles at Vodafone, including consumer director and marketing director, and has worked with Hibernian group and held technology roles at Allianz. As part of her role, Lennon is responsible for the access and support provided to telecommunications operators using the Eircom network. Named as one of Ireland's most powerful women by the Women's Executive Network, Lennon is currently working on one of the largest private-sector rollouts of high-speed broadband in Europe. Harvard Business School advanced management programme alumni Caroline Dowling became president of Flextronics in 2012. Flextronics has a global workforce of 200,000 and operations in over 30 countries, Dowling leads an international team focused on design, manufacturing and services at the end-to-end supply chain solutions. She is also responsible for fulfilling corporate growth strategies and the cultivation of strategic partnerships for business growth purposes, and oversight of mergers and acquisitions. She joined Flextronics through the acquisition of The Dii Group, where she held various management roles of increasing responsibility, including vice president of Europe, director of European business and original equipment manufacturer manager. Currently based in Hong Kong, Imelda Hurley is the chief financial officer of PCH International Holdings. Before joining PCH – a consumer electronic accessory maker – in 2011, she held a number of senior financial positions at convenience store chain Greencore Group, which she joined in 2001. She has been a director at Bord Gais Eireann since 2010, is a fellow of the Institute of Chartered Accountants in Ireland and holds a bachelors degree in business studies. In July 2014, Hurley will join listed agribusiness group Origin Enterprises and will become the CFO in August, replacing Brendan Fitzgerald. Myra Garrett is managing partner of one of Ireland's top law firms, William Fry, and specialises in corporate law. She advises companies on corporate and stock exchange issues. One of Ireland's leading M&A and IPO lawyers, Garrett is often recognised in international circles as one of Ireland's leading lawyers and is a non-executive director of the Road Safety Authority. After obtaining her degree in civil law in UCD, Garrettundertook her traineeship in William Fry and has remained there since. Her principal responsibility is to manage a legal and tax practice of 400 staff across Dublin, London, New York and California. Twitter is expanding in Ireland and a significant announcement on that is due before the year is out. Part of its ramping up of its senior team in Ireland was the hiring of Brenda O'Connell as head of development of its European business as it shifts a raft of its Europe functions to Dublin. O'Connell studied at University of Limerick and then worked for tech company Wanadoo and for telecoms giant Orange before joining French startup Jolicloud. She decamped to Twitter in January this year. Rosheen was appointed CEO of NTR in April 2013 after holding a number of positions at the company, including group business development director since 2008. NTR is a leading investor in renewable energy, particularly in wind energy. Before NTR, Rosheen was CEO of GE Money Ireland and led the business transformation initiative for ESB Power Generation. Rosheen has a PhD in change management, an MA in communications from DCU and a BSc from Trinity. She is a director of Irish Aviation Authority and is on the board of Trinity School of Engineering. Helen Ryan dominated Ireland's fast-growing medical devices sector as chief executive of Galway based Creganna-Tactx Medical between 2005 until 2013. During that time, the company grew to become the largest indigenous medical device company in Ireland and it is currently ranked in the world's top 10 medical device outsource providers. She oversaw their growth from 100 people in Galway to 1,250 staff across Ireland, the USA and Singapore. After eight years as CEO, she took up a role as a non-executive director. Before working with Creganna-Tactx, she worked with Medtronic and Tyco Healthcare. She has a BA in engineering from NUIG, a masters in project management from UL and has completed a senior executive programme in Stanford University. Deirdre has been CEO of the Irish Stock Exchange since 2007. She is responsible for all public listings at the Stock Exchange and has built it into a profitable business over the past number of years. Although the company has lost some big clients in recent years, Somers makes it her business to make the ISE a success and last year it was the best performer in Western Europe, with the ISEQ celebrating its best year since 1997. Before joining the ISE, the Cork native was an international tax consultant for KPMG and completed her BComm in UCC. Described as outspoken and passionate, Orlaith Blaney took the helm at McCannBlue after a merger between communications agency McCann Dublin and digital agency Blue Cube in July 2013. Previous to the merger, Blaney held the position of CEO of McCann Dublin, working with clients including Dairygold, L'Oreal, Bord Bia and Microsoft. Having begun her career as account manager at Dimension, she joined McCann Erickson in 1998. She was appointed to the role CEO in 2003 when, at the age of 32, she was the youngest agency boss in Ireland. Currently president of the Institute of Advertising Practitioners, Blaney is also on the council of the Dublin Chamber of Commerce and honorary secretary of the International Women's Forum. Denis O'Brien's international media firm Communicorp Group, appointed Gervaise Slowey as CEO and director in 2013, putting her in control of diverse media interests ranging from Today FM and Newstalk to stations in Jordan and BG radio in Bulgaria. After graduating with a BA in business studies from DCU, Slowey worked as brand manager at CPC Foods in 1990, and then moved into advertising with BBDO Germany as European account director. After joining Ogilvy & Mather Europe as client service director based in Vienna, she returned to Ireland in 2003 and was appointed managing director of Ogilvy in Dublin in 2006. Recently, Communicorp became the fourth largest commercial radio group in the UK following the takeover of the Global Radio network of stations. Gilvary is a top lawyer and former managing partner at the legal firm that has become the go-to law practice for many of the new generation multinational tech firms here. It also advises big invester funds like Irish distressed loan-buyer Lone Star. Gilvarry is a top litigator and also specialises in advising chief executives at major companies. She's on the board of The Ireland Funds and UCD Smurfit School. Margot Slattery joined Sodexo over 20 years ago when it was a catering business and worked her way through the ranks. The Limerick native held six different positions before being appointed the first female managing director of Sodexo Ireland in 2012. Margot studied catering in GMIT and hospitality administration/management in DIT. She worked for several Irish and UK hotels before joining Sodexo Ireland, which now employs over 1,800 people. Margot was named one of the Image Businesswomen of the Year 2013 and Woman of the Year at the 2013 Women First Shine Awards. The Keeling family has been farming in Donabate, Co Louth, since 1896. Now in its third generation, the Keelings Ltd family business is headed by Caroline Keeling, who holds a BSc and MSc in food science from UCD. Alongside her chairman father and brothers David and William, who run the wholesale, retail property sides of this company, she employs around 2,000 people in this country. Keeling joined the family business in 1994, having spent 18 months at Green Isle (now part of Northern Foods). She was appointed group MD in 2006. The company signed a trade agreement with China in 2012 and has been exploring bilateral trade opportunities in the emerging superpower since then. Beginning as a waitress and model, Caroline Desmond met music promoter husband Denis in 1981 and, following the birth of their son Zach, became involved in MCD. Thirty years later, Caroline and her husband have cultivated one of the biggest music promoters in Europe. MCD are shareholders in Glastonbury, Reading and other UK festivals, as well as selling 1.2 million tickets a year for some of the world's most famous acts. Caroline has worked to raise over €39m for charity, particularly for the ISPCC and Childline, and has produced numerous TV shows, including the Childline concert and Celebrity Apprentice. After four decades spent in the service industry, Joan O'Shaughnessy retired as CEO of managed services provider Aramark Ireland in June 2011. She had held that position for over 12 years and had been very active in acquisitions, diversification and rebranding. As CEO, O'Shaughnessy led one of Ireland's largest US multinationals, employing 4,000 staff over 400 locations. She is now vice chair of Aramark Ireland's advisory board and special adviser to the CEO. She is also honorary president of the Hospitality Trust charitable foundation, a member of the American Chamber of Commerce and the Institute of Directors. Frenchwoman Christine Ourmières has been running troubled Dublin-based and now German-owned airline CitiJet as CEO and board member since 2010. The first and only female CEO of an Irish licensed airline was asked to interview for the position and says she jumped at the chance. She can run a marathon in a nifty 4.29, has three kids and an executive husband at home and boasts over 20 years' experience working in the airline industry. She holds a Master of Aeronautics from the Ecole Nationale Superieure d'Ingenieurs and an MBA from Essec Business School. She began her career at Air France in 1988 and eventually became not only the first GM and VP for Air France and KLM in the US but also the first woman to hold that position. The European Regions Airline Association (ERA) appointed her its new VP last year. McSharry is a daughter of former EU Commissioner Ray MacSharry. As one of the most prolific female corporate board directors, Heather Ann McSharry has her finger in so many pies it would be too exhausting to list them all. The former MD of Reckitt Benckiser and Boots Healthcare in Ireland, who holds a bachelor's and master's degree from UCD, is currently a non-executive director of CRH and chairman of the Bank of Ireland Pension Fund trustee board, serves on the board of IDA Ireland and as a non-executive director of Greencore Group plc. She's also a director of Ergonomics Solutions International and a council member of the Institute of Directors. Former civil servant O'Neill has bagged some plum directorships, not least adding some female balance to Ryanair's boardroom and joining state-owned Irish Life and Permanent as a non-executive director. She's also on the board at the Sustainable Energy Authority of Ireland and the Irish Museum of Modern Art. O'Neill worked in the public sector for close to 40 years and was secretary general at the Department of Transport until retirement in 2009 when she went into management consultancy. In her spare time she's an avid foodie, tweeting regularly and enthusiastically about her dining out experiences and her cooking of Szechuan cuisine. One of the country's best dealmakers and buyout specialists, Roisin Brennan has over 20 years' experience advising companies on mergers and acquisitions, takeovers, disposals, fundraisings and initial public offerings. The former chief executive of IBI Corporate Finance moved to become the Bank of Ireland-owned outfit's executive chairman two years ago. She is a member of the board at international sales, marketing, distribution and business support services group, DCC. A qualified chartered accountant, Brennan is a former non-executive director of the Irish Takeover Panel and currently sits on the finance, remuneration and asset management committee at UCD and the administration committee of the Institute of International & European Affairs. Coughlan is one of the best connected and savviest people in high- calibre technology investment in Ireland. She's a senior figure at Atlantic Bridge, which has backed some of the most successful tech companies out there. Atlantic and Coughlan get involved when promising, fast-growing companies are ready to go global and take on international investment and markets. During the last dotcom boom, the former accountant was involved in major company floats including that of Parthus (now Ceva), which listed valued at over $300m. Before that, she worked at Iona Technologies and oversaw its successful Nasdaq listing. She is a key figure with Summit Bridge Capital, a $100m Chinese government-backed fund that is investing in software companies setting up in Ireland. The executive director and head of retail banking at KBC Bank Ireland has a background in some of the biggest banks in Ireland. Previous to her current position, Dara Deering worked at EBS retail business and was CEO of EBS mortgage finance where she was responsible for key business lines, including mortgages and retail deposits as well as for EBS brand positioning and market strategy. At EBS, she was a member of the executive management team, group credit risk committee, and chaired the pricing forum. She now chairs the Irish Mortgage Council and is Executive VP of the European Mortgage Federation. Known to most people as producer and co-founder of Riverdance, Moya Doherty is a director of Tyrone Productions and was founding director of Today FM. The former RTE producer and actress has been given honours including Veuve Clicquot businesswoman of the year, the E&Y entrepreneur of the year and honorary doctorates from the University of Ulster & from the NUI. With husband John McColgan, the couple recently launched the extravaganza Heartbeat of Home. As one of the most successful property financiers during the boom, Deirdre Foley set up D2 Private with developer David Arnold in 2004 and is currently CEO. While the crash hit hard, Foley and D2 are getting back into their stride. She holds a BComm from NUIG and a Master's in accounting from UCD, beginning her career in KPMG in 1992 and qualifying as a chartered accountant. Deirdre worked in GE Capital and Quinlan Private before setting up D2 Private, where she has been instrumental in raising £3bn in debt and equity. Head of Group Human Resources at DCC, Ann Keenan is in charge of the hiring and firing at the company that currently employs approximately 10,000 people and is listed under support services on the London Stock Exchange. Operating across the divisions of energy, SerCom, healthcare, environmental, and food and beverage, Keenan's role at DCC means she is considered one of Ireland's corporate high-flyers. In recognition of her work, Keenan was named as one of Ireland's most powerful women by the Women's Executive Network in 2013. Low-key Dargan heads up Boston global financial services firm State Street's Irish base, at a company that manages over €1.5tn worth of assets worldwide. She joined there as head of its investment services wing over a decade ago and rose to become COO, then took over from Willie Slattery in the top job. Prior to that, the career banker with more than 20 years' experience worked in senior executive roles at Mitsubishi Bank and Northern Trust and at Bank of Ireland and AIB. Blair started and runs the most valuable company ever led by an Irish woman. Her Alexander Mann Solutions recruitment services business boasts some of the biggest companies in the world as clients and is worth over €300m. Wicklow native Grainne Baron started in TV when doing an internship at NBC while studying business and law at Fordham University in New York. After graduating, she worked for NBC in California and after a year, returned to Ireland to Windmill Lane to help set up TV production company Animo. After completing an MBA at Smurfit Business School, Barron came up with the idea for Viddyad, which allows companies create their own video ads online quickly and cheaply. It has been listed as one to watch by the Wall Street Journal and USA Today. Grainne has been named an Image Businesswoman of the Year 2012 and one of the Irish Independent's Forty under 40. Co-founder of Crewlink, Judy Byrne is HR director at the Irish company that has specialised in the recruitment of cabin crew for the airline industry since 2003. Europe's first independent residential training airline facility with revenues of over €65m also trains and employs cabin crew, with over 2600 crew members currently registered with Ryanair. Byrne previously held the position of HR director at Hibernian Group and head of HR at PricewaterhouseCoopers Ireland and United Drug Plc. Fidelma Healy originally trained as a teacher but began night classes in computers and HR when she discovered that teaching jobs were scarce. This led to a career in financial services, taking an HR role at Systems Dynamics. She became involved in establishing new technology companies, including Postbank, before becoming operations director at Standard Life. In 2011, Gilt – an online shopping website – announced they were setting up in Ireland and Fidelma was appointed chief operating officer. Under the directorship of sisters Marian O'Gorman and Bernadette Kelleher Nolan, Irish family-owned design house Kilkenny celebrated its 50th anniversary last year. The company split from the Blarney Woollen Mills operation during the noughties, in a feud that saw the Kelleher brothers keep the Blarney brand and the sisters keep the Kilkenny brand. The Kilkenny Group weathered many difficult times but under the guidance of O'Gorman, who is a coeliac, it focused its efforts on advertising and PR to survive the recession. It posted its most successful trading results ever in January 2014.